Lara Harrington learned the transformative power of mobility at a young age. Growing up outside of Dayton, Ohio, the chief engineer at Honda R&D Americas, Inc. learned from her parents how the simple ability to move safely from one point to another could have a profound impact on someone's life. "My mother was raised in rural Tennessee and when they built a road that connected her town to other towns, she suddenly had the opportunity to transform her life by going to college," said Harrington, who is featured in the latest What Makes a Honda is Who Makes a Honda video series. "I realized at a young age the power of mobility and how it makes peoples' lives better." 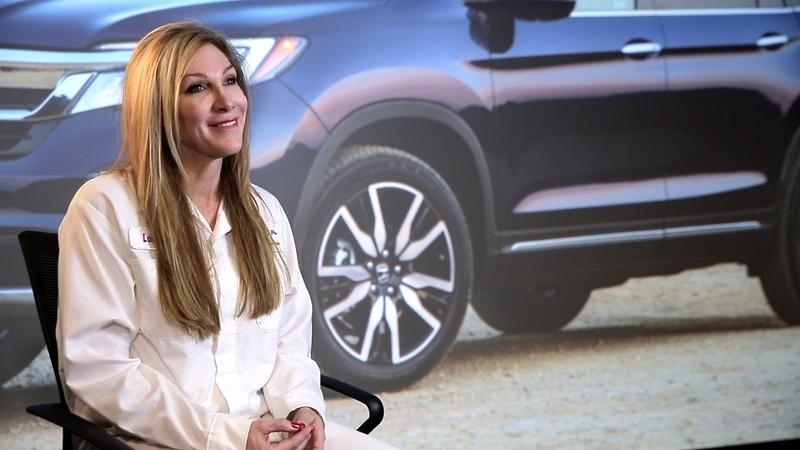 With Honda for 27 years, Harrington recently served as the large project leader for the 2019 Honda Pilot, making her the first woman in Honda to fulfill this top product-development role. Most recently, she also led development of the all-new Honda Passport. "My job is to understand the customer's needs first and foremost and to exceed their expectations in the product," Harrington said. "Having a diverse team of associates ensures different points of view and experiences are ultimately represented in the product development process."